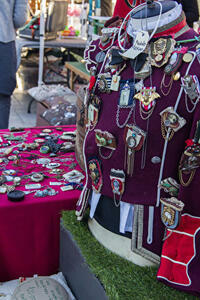 A photograph of a stall selling handmade accessories at a market in Cathedral Square. 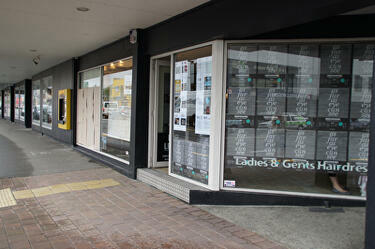 The market is part of Canterbury Tales - a carnivalesque procession and the main event of FESTA 2013. 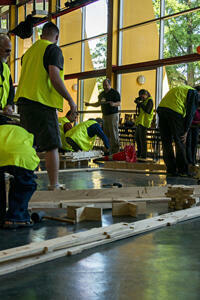 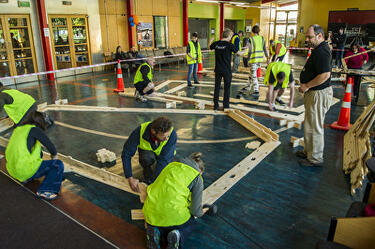 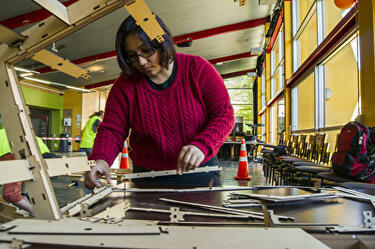 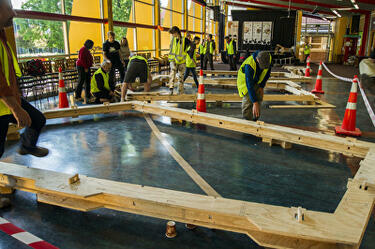 A photograph of a model WikiHouse building being assembled in the CPSA building at CPIT. 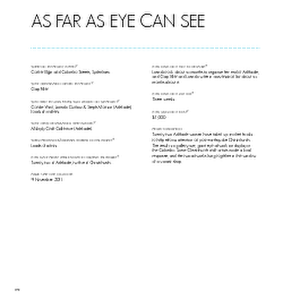 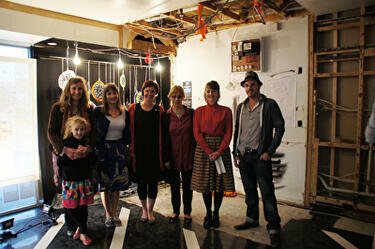 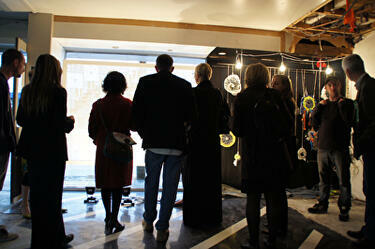 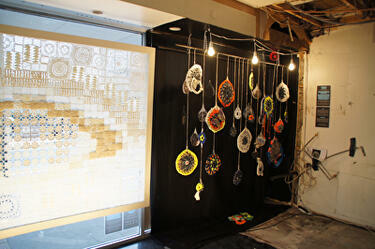 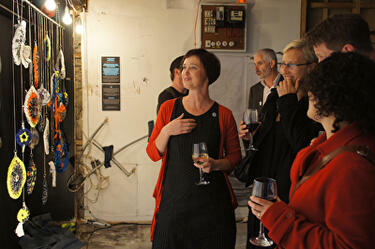 The demonstration and hands-on workshop, titled Go Ahead... Make Your Space, was part of FESTA 2013. 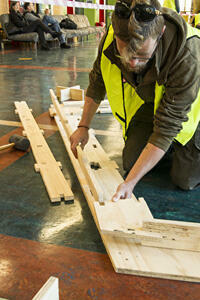 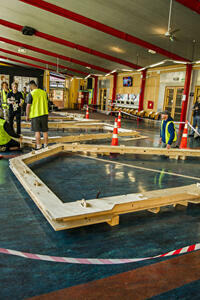 A photograph of a WikiHouse building being assembled in the CPSA building at CPIT. 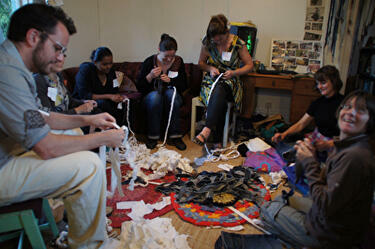 The demonstration and hands-on workshop, titled Go Ahead... Make Your Space, was part of FESTA 2013. 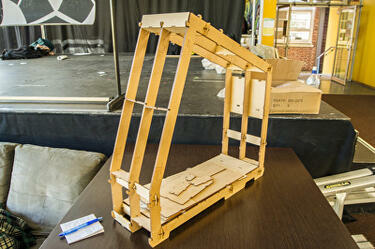 A photograph of a model of a WikiHouse building on display in the CPSA building at CPIT. 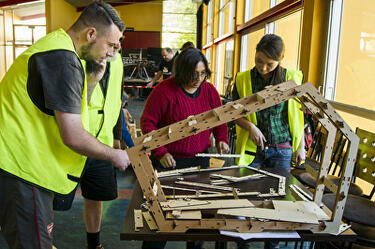 A demonstration and hands-on building workshop, titled Go Ahead... Make Your Space, was held at CPIT as part of FESTA 2013. 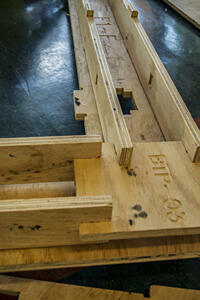 A photograph of the base pieces of a WikiHouse building in the CPSA building at CPIT. 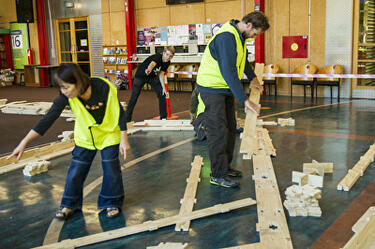 A demonstration and hands-on building workshop, titled Go Ahead... Make Your Space, was held at CPIT as part of FESTA 2013. 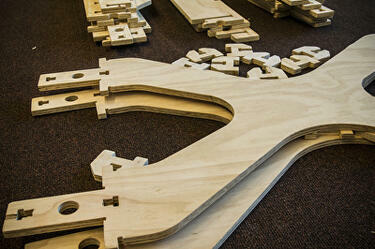 A photograph of modular, wooden WikiHouse pieces, ready to be assembled during a demonstration and hands-on building workshop. 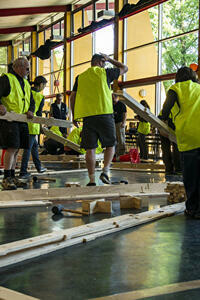 The workshop, titled Go Ahead... Make Your Space, was held at CPIT as part of FESTA 2013.